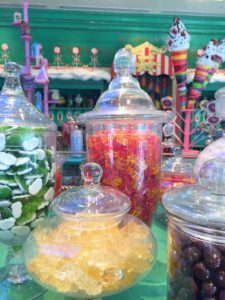 Our favorite shop was Honeydukes sweet shop, where anyone with a sweet tooth can get his or her candy wishes fulfilled. The candy selection was nothing short of magical. We picked up some Chocolate Flies, a Chocolate Frog and some Pink Coconut Ice candy. 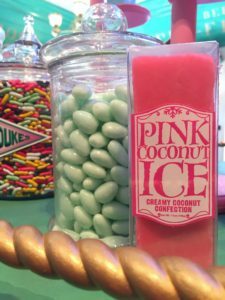 I was most excited to try the Pink Coconut Ice. 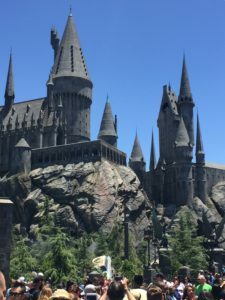 I’ve been intrigued by the thought of this candy ever since it was mentioned in the book, Harry Potter and the Prisoner of Azkaban by J.K. Rowling. (Fan alert: There’s an illustrated edition of this book coming out soon. To pre-order it, click here.) 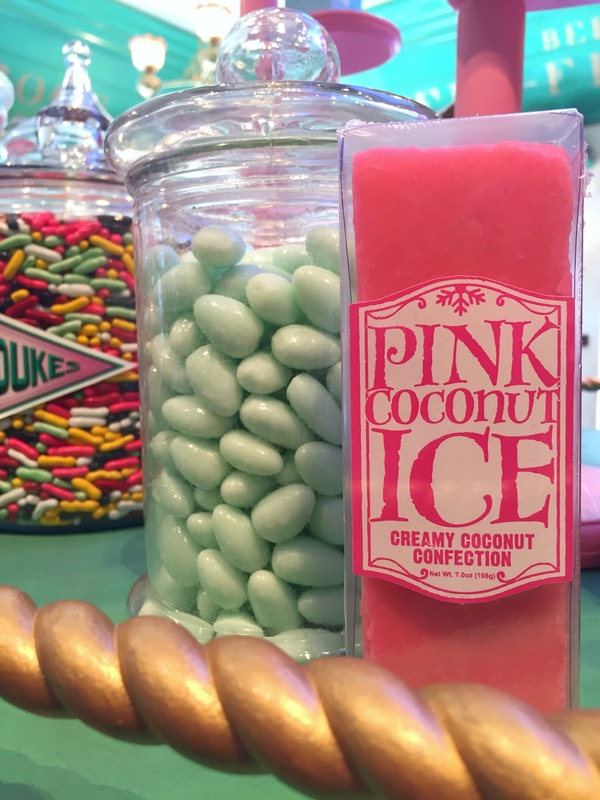 The Pink Coconut Ice candy is similar to a stiff fudge. It’s very sweet, so you can cut it into small squares and have plenty to share with friends. 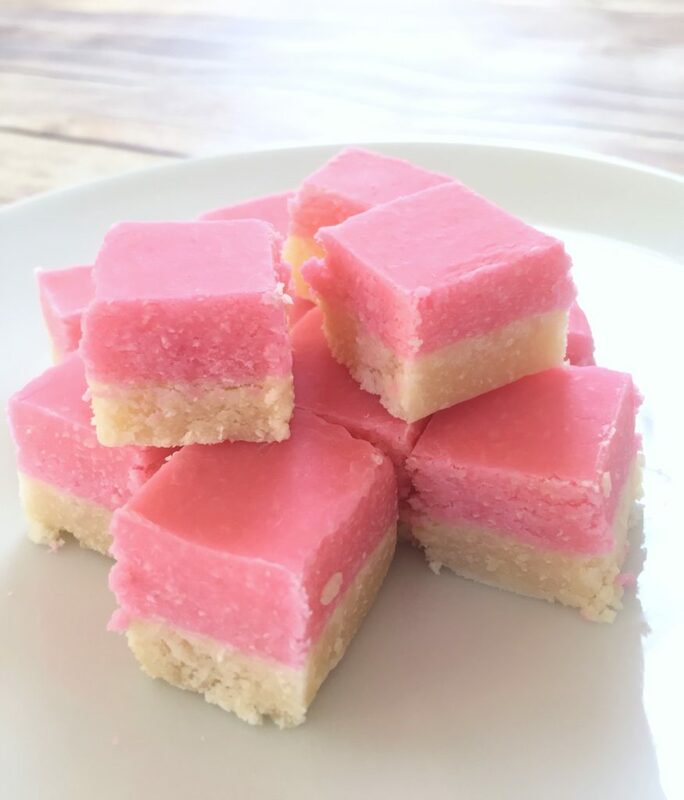 I imagined the “shimmery pink squares” a little differently so, I decided to build on my imagined version of the coconut candy by making a shimmery pink coconut cake. I used my favorite coconut cake recipe and pink coconut buttercream. 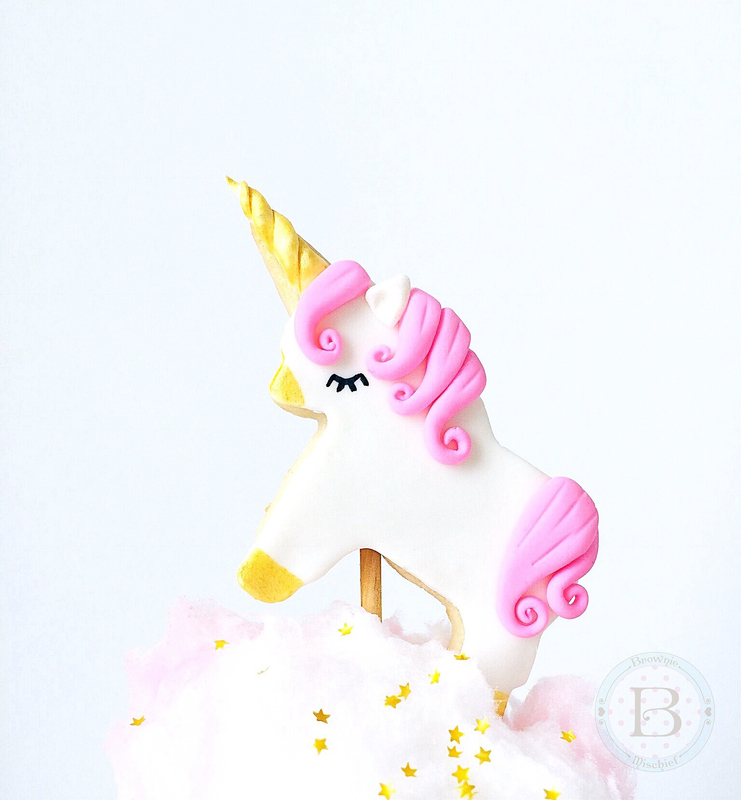 I tinted my buttercream with Americolor gel food color soft pink. I covered my cake in large flakes of unsweetened coconut. To find unsweetened coconut flakes, click here. I think the large flakes look more whimsical and add texture, but feel free to use whatever kind of coconut you prefer. I colored my coconut a shimmery, soft pink. Click here to see how I colored my coconut flakes. You don’t have to be a Harry Potter fan to appreciate this pink, fluffy, coconut-covered cake. 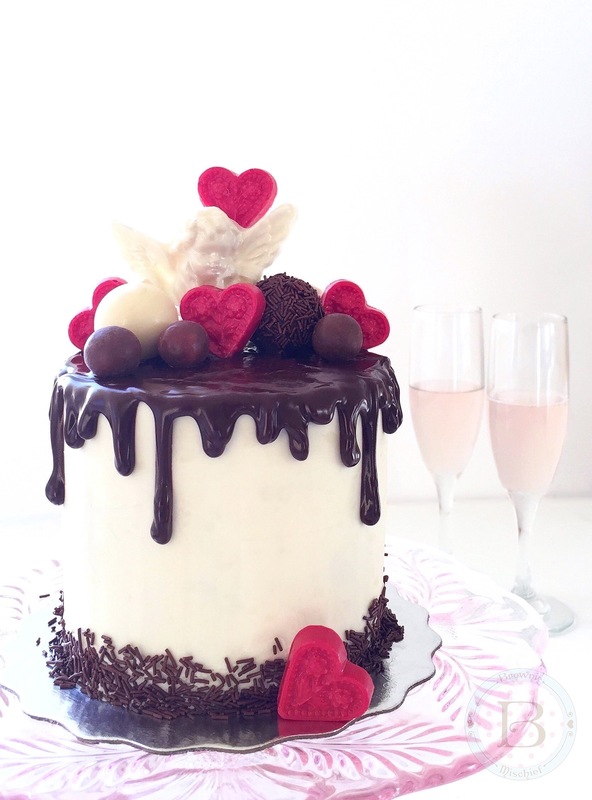 I can imagine this pretty cake at any party or event with a pink theme. 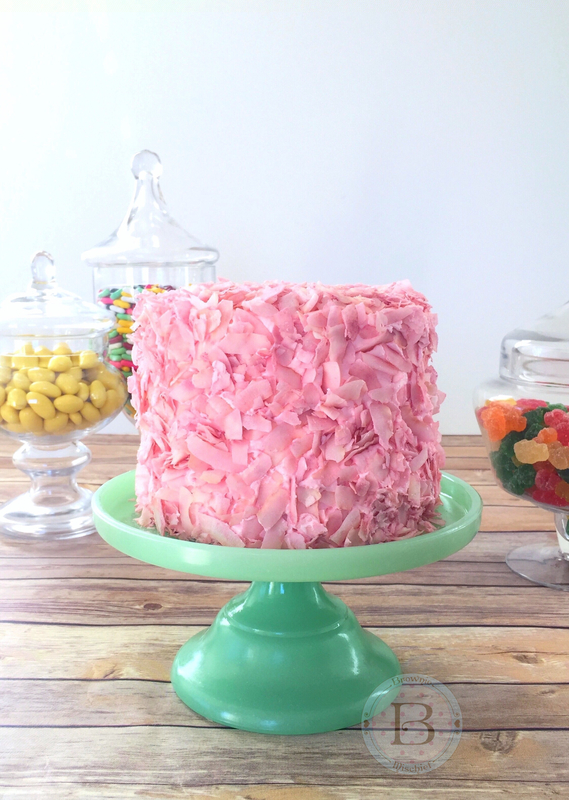 I hope you enjoy this perfectly Pink Coconut Ice Cake as much as we did! Preheat oven to 350º F. Grease three 6-inch cake pans. In a large bowl, beat butter, sugar and oil together with an electric mixer at medium speed, until light and fluffy, about 2-3 minutes. Beat in coconut extract. Gradually beat in egg whites until mixture is well combined, stopping to scrape the sides of the bowl. Beat in flour mixture in three additions, alternating with coconut milk, stopping to scrape the sides of the bowl. Pour batter into prepared pans, evenly distributing batter between the pans. Bake for 28-32 minutes, until a toothpick inserted into the center of pans comes out clean. Place pans on wire rack to cool for 10 minutes. Remove cakes from pans and place on rack to cool completely. In a large bowl, beat butter with an electric mixer on medium speed, until light and fluffy. Add salt. Beat until combined. Turn off mixer. Add powdered sugar. Mix on low speed until sugar is moistened, then turn up to medium speed and beat until combined. Add coconut milk a little at a time, until desired consistency is reached. Add coconut extract and beat at medium speed until buttercream is smooth. Add gel food color with a toothpick, a little at a time, until desired consistency is reached. Beat at low speed until well blended. 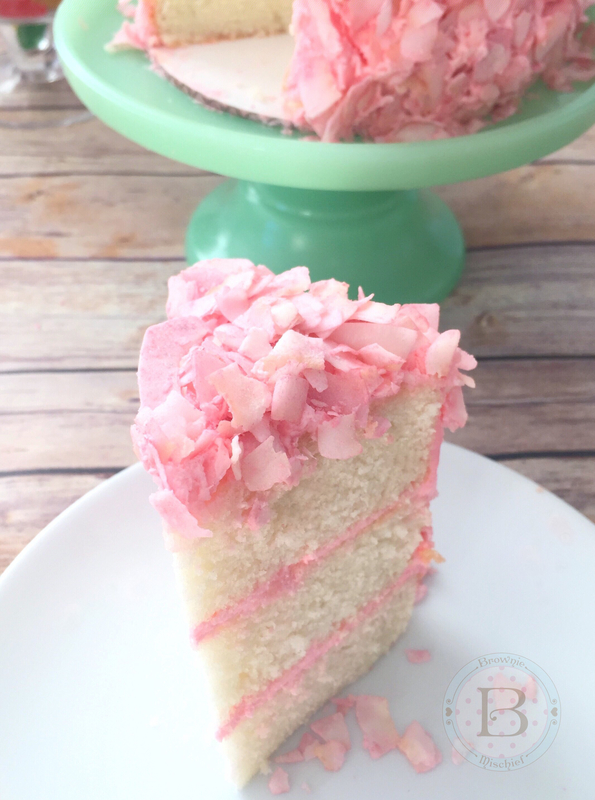 Fill and frost cake with Pink Coconut Buttercream. Place powdered sugar in a small bowl. Add a small amount of petal dust. Whisk together with a small whisk. Add additional petal dust until desired color is reached. Spread coconut flakes out onto a large shallow dish. Sprinkle powdered sugar mixture over coconut with a small sieve. Toss gently with gloved hands. Place cake on a baking sheet to catch excess coconut. Press colored coconut onto sides and top of cake. *Do not substitute all-purpose flour. For best results weigh your dry ingredients. **For best results, use natural coconut extract. Imitation coconut flavorings may give your baked goods an unpleasant flavor. ***If your coconut milk is separated when you open the can, simply place it in a blender to emulsify before using. 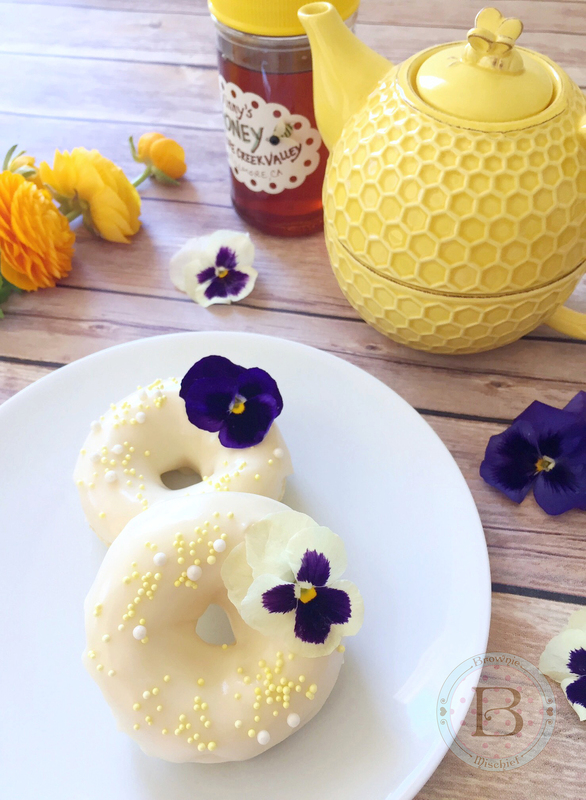 To find my favorite 6-inch cake pans, click here. To find the gel food color I used, click here. To find unsweetened coconut flakes, click here. To find the edible pearl dust I used, click here. Purple is passionate. It’s mystical. It’s regal. Don’t we all know someone whose favorite color is purple? It’s painfully obvious. They can’t hide it. They don’t want to hide it. They can’t just be friends with purple. They’re in a relationship with purple. 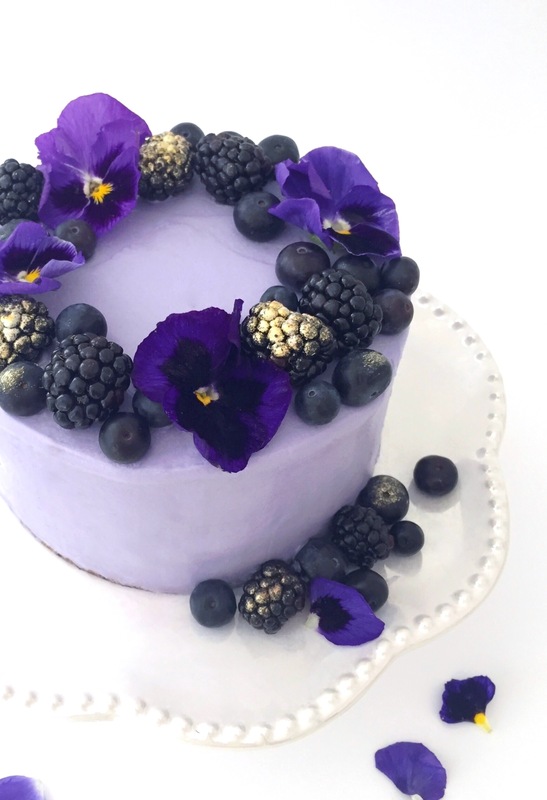 The first time I made this Purple Berry Cake, a purple lover I know said that when she saw it, it spoke to her soul. This cake is, what I like to call, a double-take cake. People stare. They can’t resist it’s charismatic charm. Once they stop staring and taste it, they fall hopelessly in love. Fresh berry purée is added to the batter, creating a soft, moist cake. The layers are brushed with berry syrup, which helps keeps the cake moist and gives it a nice punch of berry flavor. I used blackberries and blueberries, but you can use any combination of purple berries that you like. After baking, the color of the cake layers will be a brownish gray with a hint of purple, depending on your berries. I think I need to come up with name for this color. How about Silverberry? 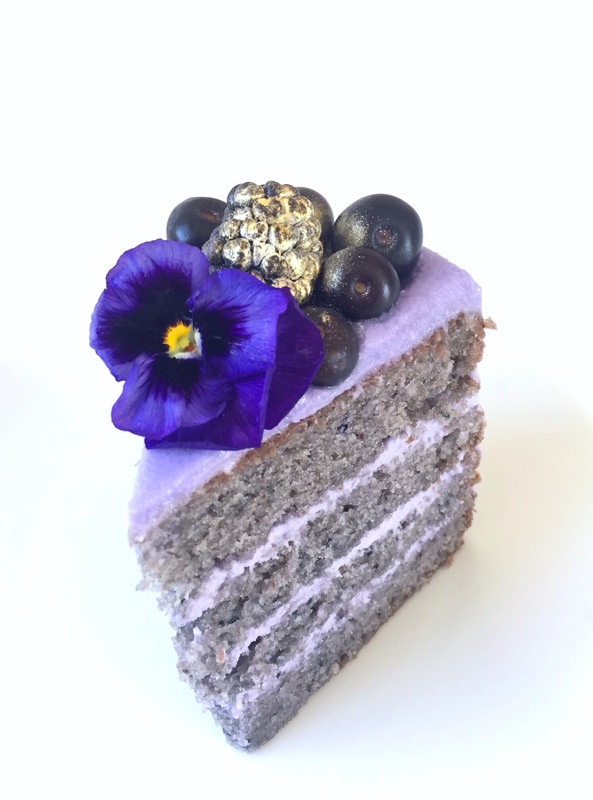 You can see tiny flecks of the berries in the cake and I think the color is lovely, especially with the lavender frosting. If you want a more purple cake, feel free to add some gel food color to the batter. 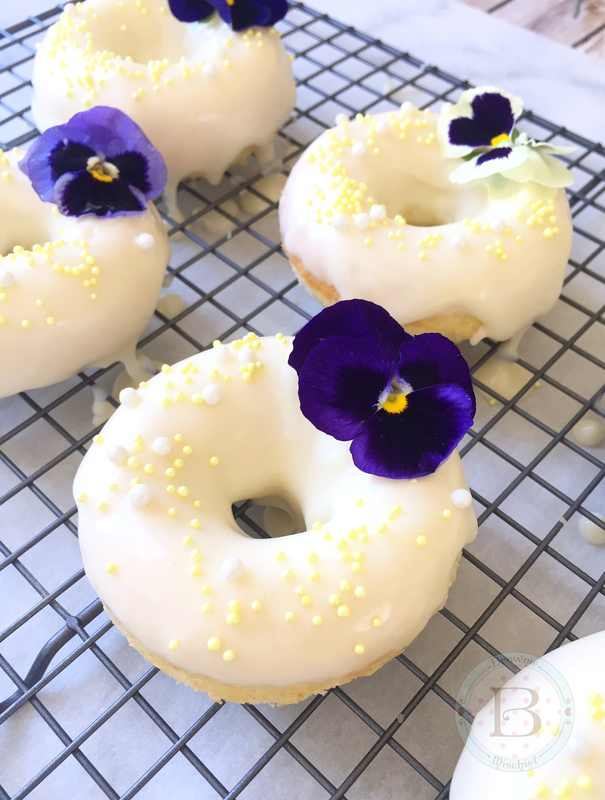 I used Wilton Violet gel food color to achieve the pretty lavender cream cheese frosting. The extra butter and the addition of heavy cream makes this frosting silky and spreadable. 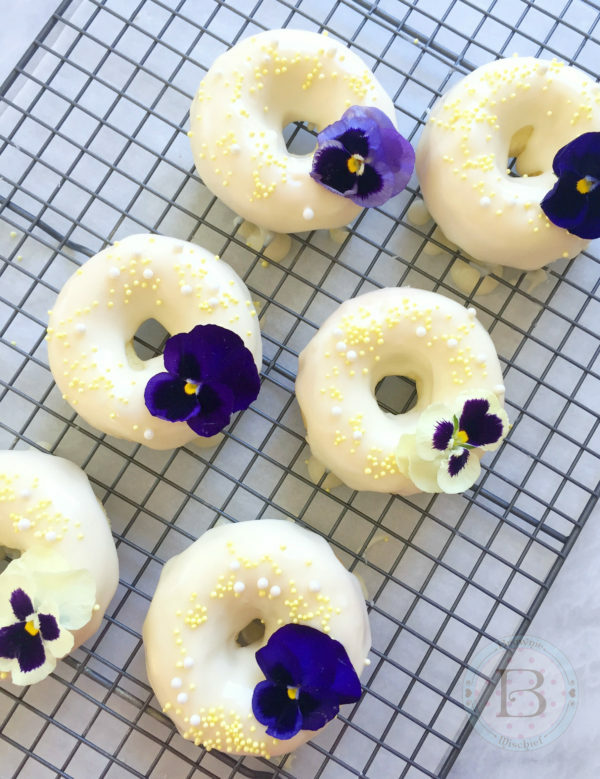 I’m obsessed with edible flowers lately, so I garnish my baked goods with them whenever I can get my hands on some. I found these pansies in the produce department of my local food market. 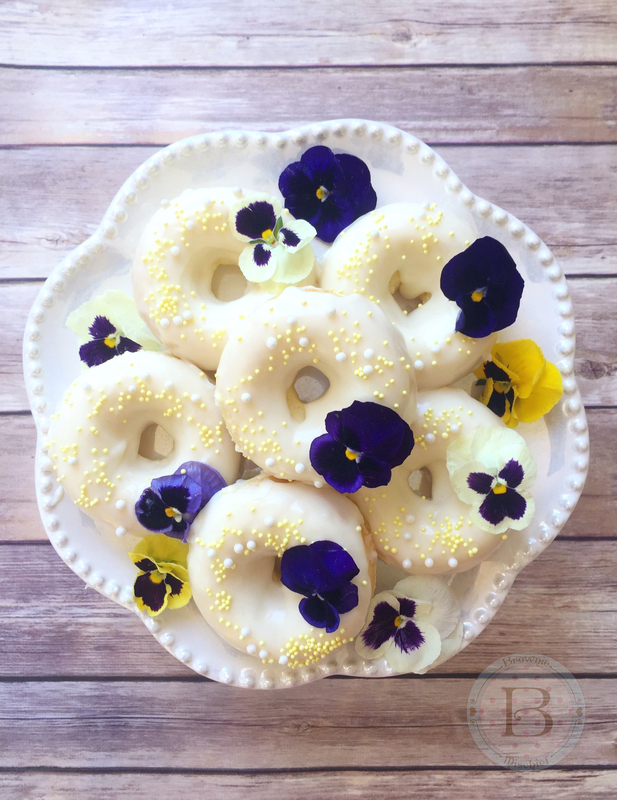 If you can’t find pansies, pesticide free violets or rose petals would also be pretty. 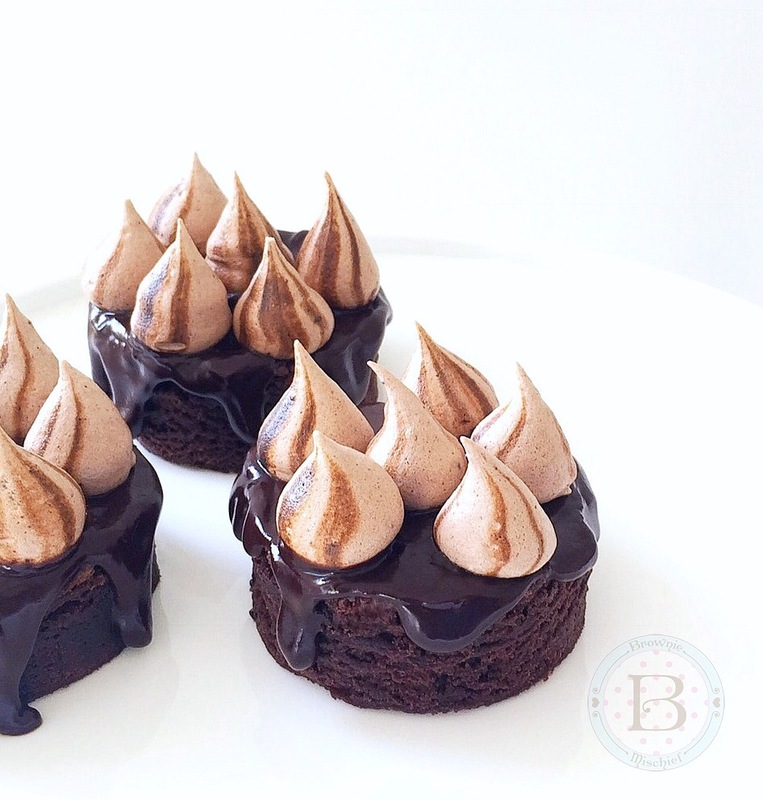 Make sure to apply them to your cake right before serving, since they are delicate and will wilt over time. Brush some of your berries with a little dab of edible gold luster dust for an extra regal touch. Preheat oven to 350º F. Spray two 6-inch cake pans with non-stick cooking spray and line with parchment paper circles. 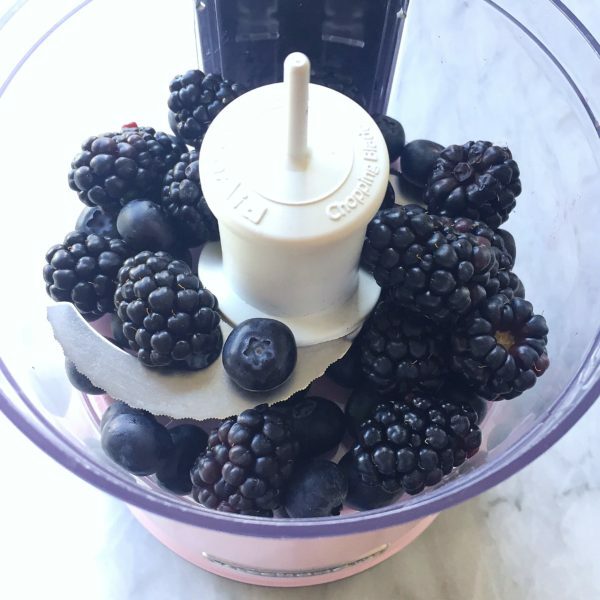 Purée the berries in a blender or small food processor. Strain puréed berries through a sieve. Reserve 2/3 cup berry puree. Set aside remaining puree for syrup. In a large bowl, beat 1 1/4 cups (8.75 ounces) sugar, oil, eggs and vanilla extract with an electric mixer on medium speed, until light and fluffy, about 1 minute. Add flour in two additions, alternating with buttermilk, beating at medium speed just until combined. Stir in the reserved 2/3 cup berry purée. Pour batter evenly into the prepared cake pans. Bake until a toothpick inserted into center of cakes comes out clean, about 30-35 minutes. Cool cakes in pans for 10 minutes. Remove cakes from pans and continue cooling on wire racks. Meanwhile, make berry syrup. In a small saucepan, heat the remaining berry purée, remaining 1/4 cup sugar (1.75 ounces) and 1/4 cup water over medium-low heat. Stir together and bring to a boil. Cook until sugar is dissolved. Set aside to cool. Split each cake layer into two and brush with berry syrup. 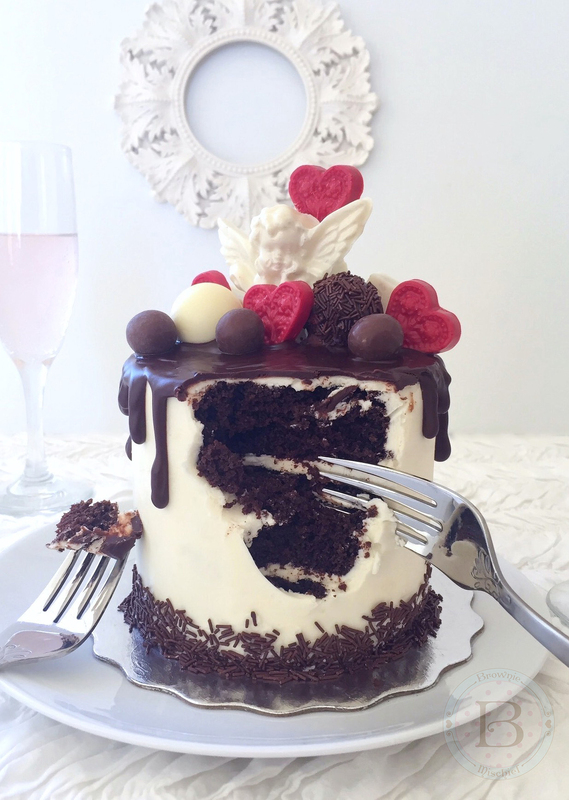 Fill and frost cake with Silky Cream Cheese Frosting. In a large bowl, beat butter and cream cheese with an electric mixer at medium speed, until smooth. Add vanilla extract and salt and beat until combined. Gradually add powdered sugar and beat medium speed until combined. Add heavy cream and beat at low speed until smooth and creamy. Add gel food color with a toothpick, a little at a time, until desired shade is reached. Beat at low speed until well blended. 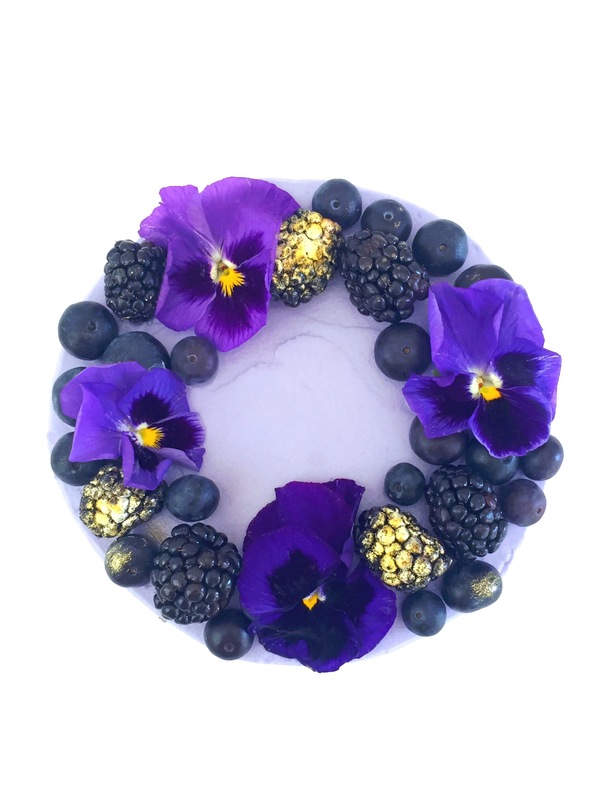 Garnish top of cake with fresh berries. Brush a few of the berries with edible gold luster dust. 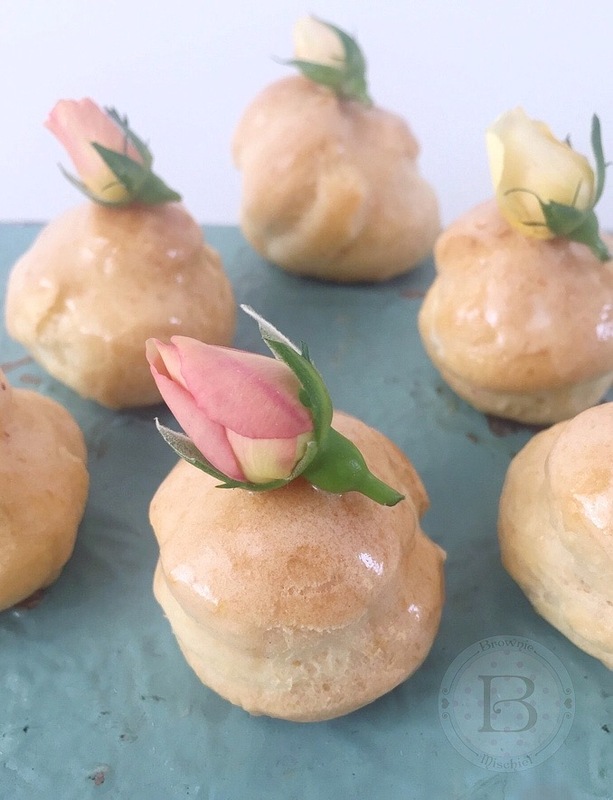 Garnish with fresh flowers immediately before serving. *To find my favorite 6-inch cake pans, click here. To find Wilton Violet gel food color, click here. To find Alan Tetreault Edible Hybrid Luster Dust Soft Gold, click here. 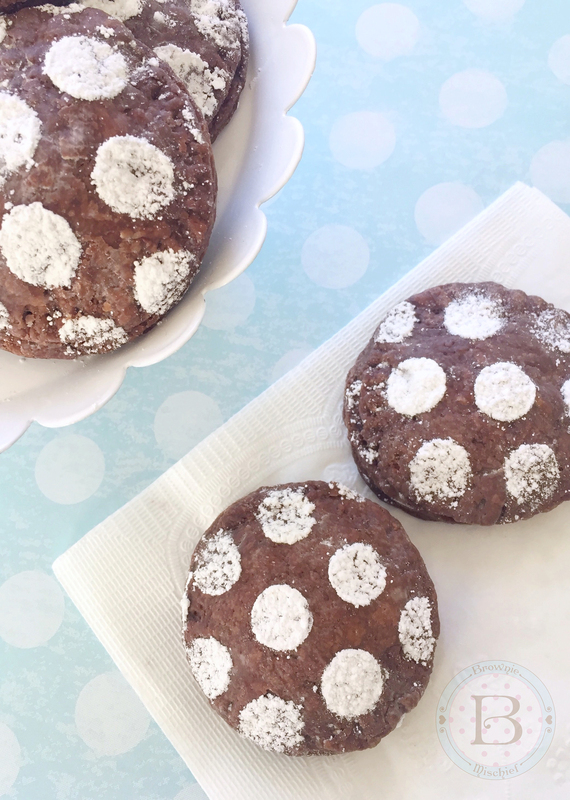 I’ve seen some fully-loaded cookies out there, but these extreme cookies just earned the title! 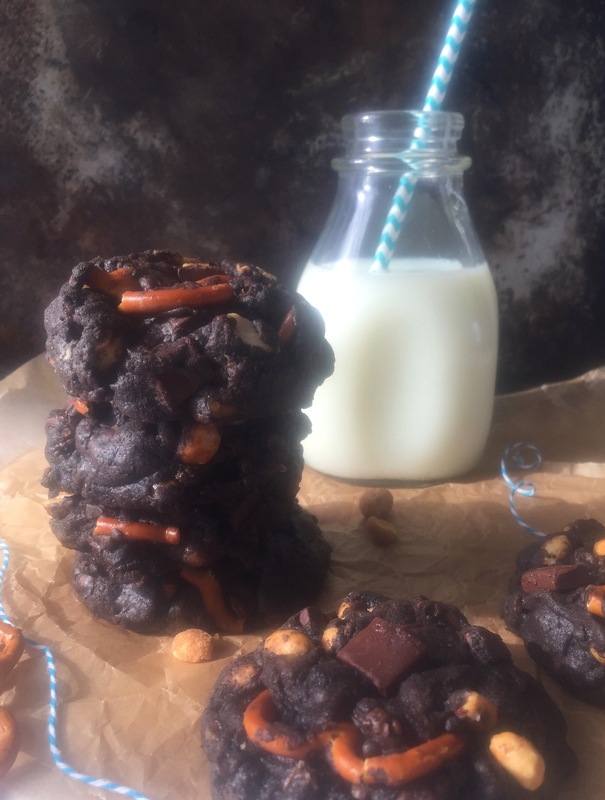 They’ve got enough chunky, chocolatey, sweet and salty glory to satisfy the most ravenous cookie craving!!! (Yes, all of those exclamation points are necessary.) But, before we even go one step further, I must mention a few disclaimers. I strongly urge you to make sure your fridge is stocked with milk. 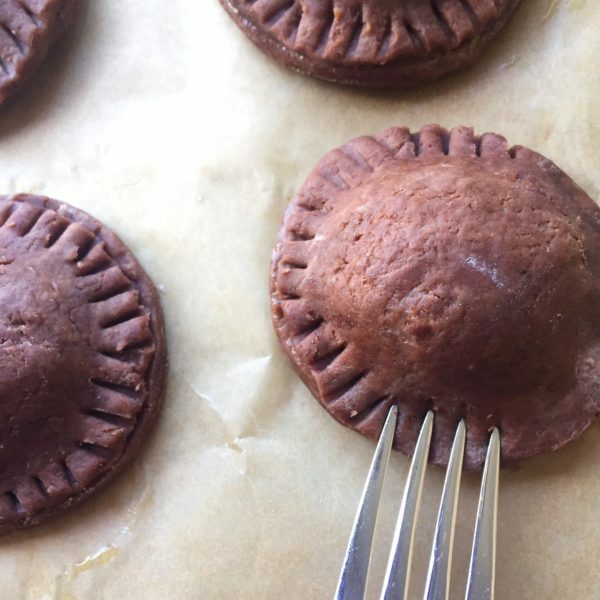 Please change into your comfiest pants before attempting this recipe. Canceling all plans for the rest of the day is recommended, as a nap may ensue immediately following consumption of these cookies. OK, now that we got that out of the way, let’s jump in with both feet! Did you notice how serious the mood got? 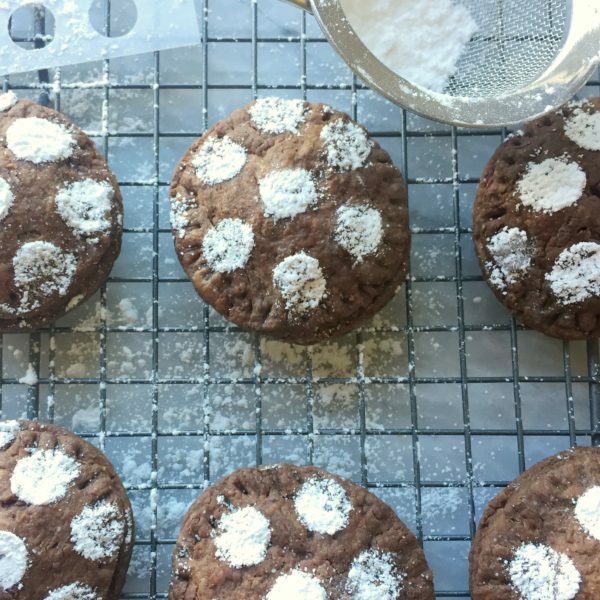 We need a moody photo that looks like it was taken in a rustic cabin to emphasize the seriousness of these chocolate cookies. It’s no coincidence that I’m sharing this recipe with you right before Father’s Day. Every Dad I know is an accomplished snacker. 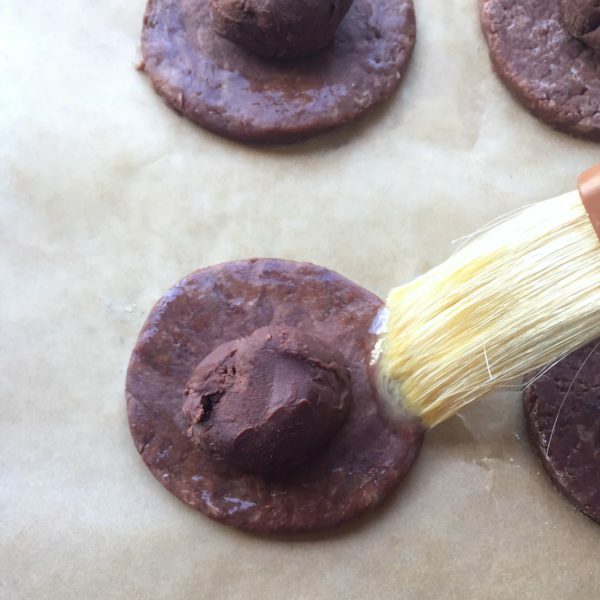 Dad will love these cookies for his personal snack stash! Package them up and deliver them to your Pop with a jug of milk or a thermos of coffee. You can probably skip the straw. 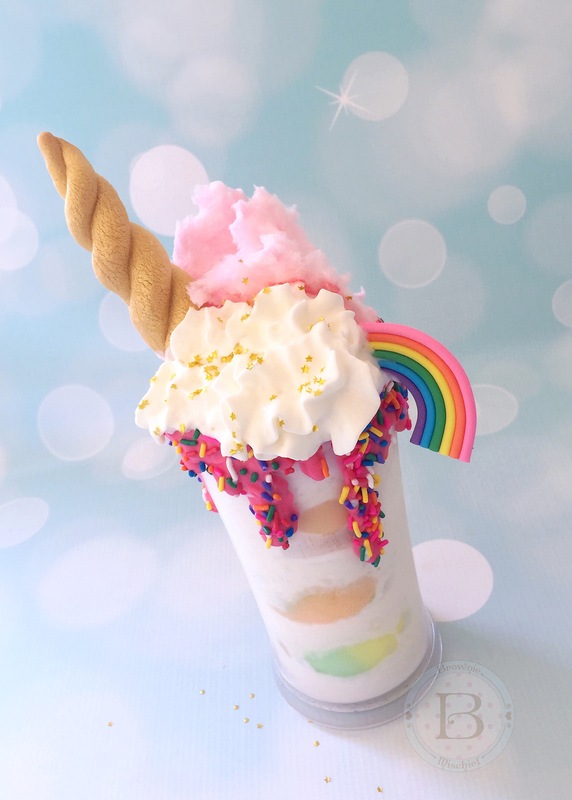 We all know that Dad is going to chug his milk, but every respectable blog photo of milk must contain a pretty straw. 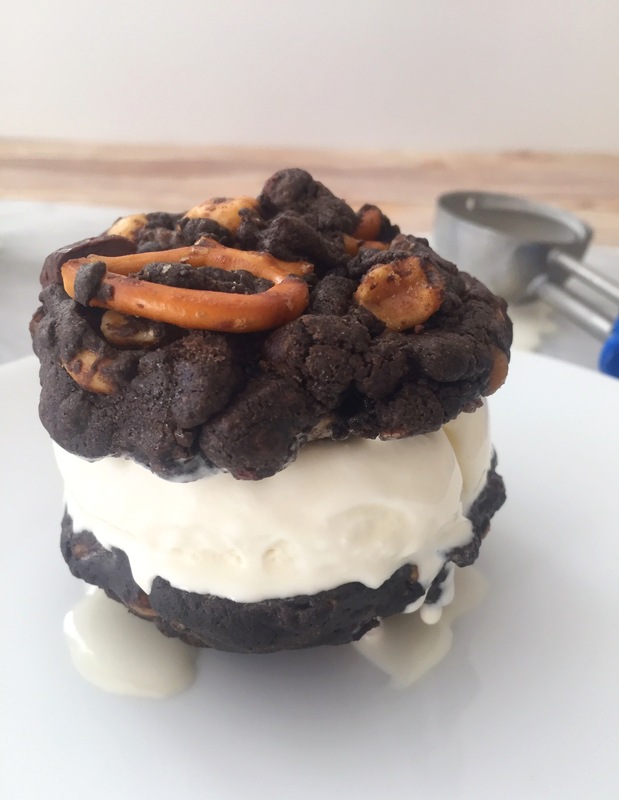 These cookies make amazing ice cream sandwiches, too. Press a scoop of softened vanilla ice cream between two cookies and pop it in the freezer. If you want to make these cookies picture perfect, use a scoop to portion out your dough. 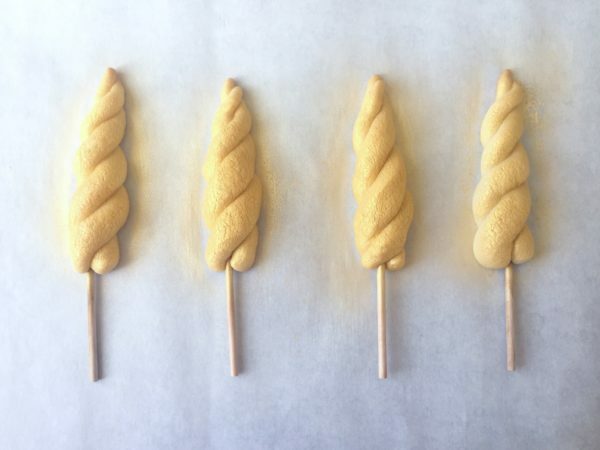 This will make them uniform in size and they’ll bake more evenly. Click here to find the scoop I used. For even more visual appeal, don’t crush the pretzels before adding to the cookie dough. Some of them will break when you are mixing them into the dough and this is fine, because the large pieces help make these cookies chunky. This recipe makes eighteen large cookies. That’s one dozen for Dad plus six for you to snack on, because when these babies come out of the oven with their melted chocolate chunks and little pools of caramel, resisting will be impossible! Now it’s cookie time…you’ve got this! 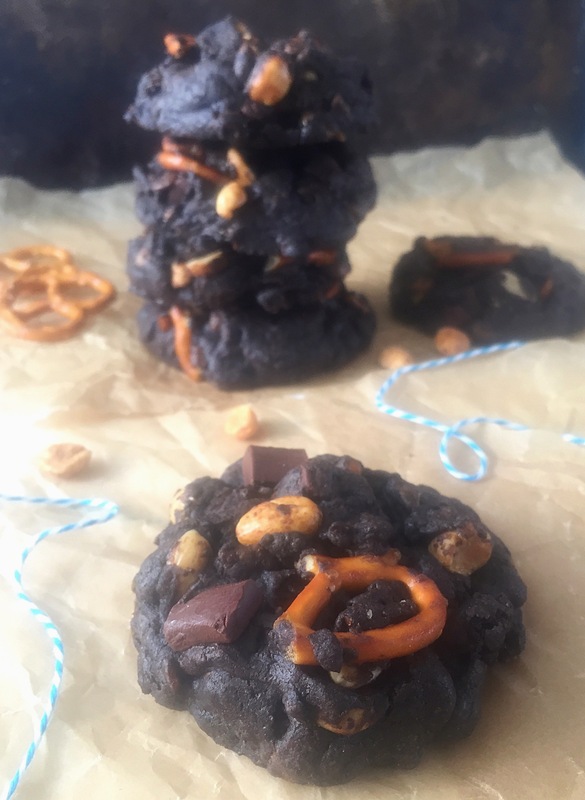 Large chunky, sweet and salty chocolate cookies loaded with chocolate chunks, pretzels, caramel, rice cereal and nuts. Preheat oven to 350º F. Line 2 large baking sheets with parchment paper. 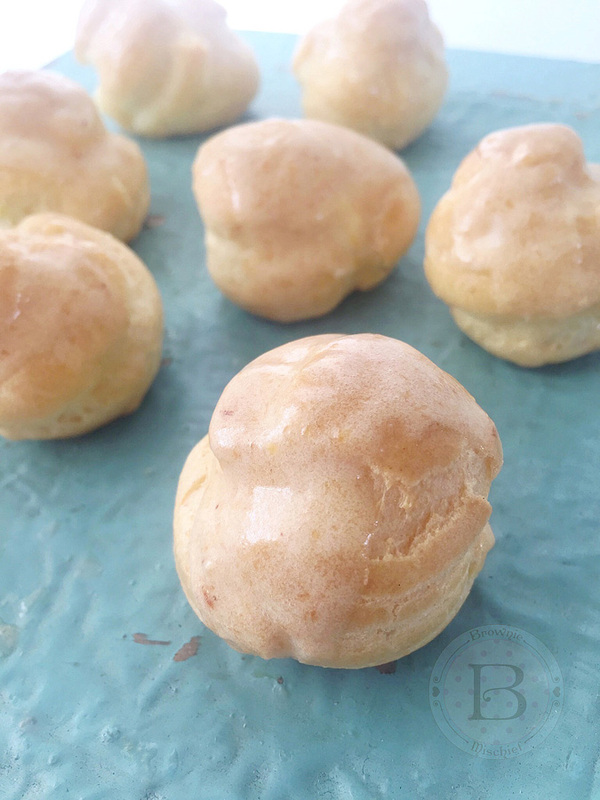 In a large bowl, cream butter, granulated sugar, and brown sugar together with an electric mixer at medium speed until light and fluffy, about 2-3 minutes. Add eggs, one at a time, beating at medium speed until smooth. Add vanilla and beat just until combined. Add flour mixture and beat at low speed, just until combined. Stir in chocolate chunks, pretzels, caramel bits, chocolate rice cereal and peanuts. Scoop 1/4 cup portions of cookie dough and place 2 inches apart on prepared baking sheets. Bake for 13-15 minutes, until set. Cool on cookie sheets for 1 minute before transferring to wire rack to cool. To find 1/4 cup portion scoop, click here. To find blue baker's twine, click here. Like most people, many things in my life are far from perfect. Spring though, is perfect. There are blue skies, flowers blooming in abundance, bunnies scampering around near my home, and Easter is a few days away. 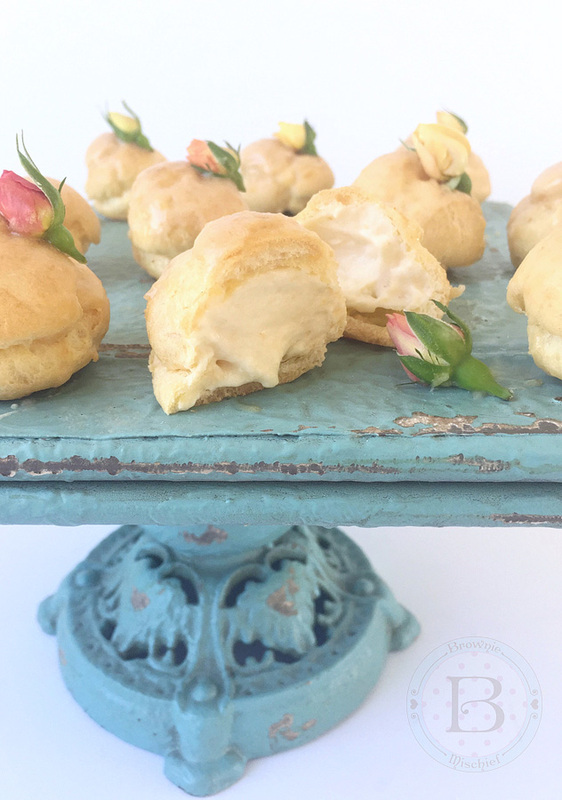 What better time to make a dessert to celebrate the new life and hope all around us? My daughter took out her sketch pad and designed the most adorable mini bunny cakes for me. She’s a very talented artist, with an eye for the cuteness factor. To make the bunny cakes look like her sketch, I figured I would need a hemisphere baking pan to give them their cute, rounded shape. When I was shopping around for hemisphere pans, also know as ball pans, I considered metal pans and silicone pans. In general, I prefer metal pans for baking cakes, but I decided on silicone, hoping to get more use out them. I plan on using them for frozen and refrigerated desserts as well. You can find hemisphere pans at kitchen stores, craft stores, baking supply stores and online. To find the pan I chose, click here. My next dilemma was whether or not to coat the pans before baking. From what I’ve read, many people seem to have trouble getting their baked goods out of silicone pans, even though the majority of these pans claim to be non-stick. I decided to experiment, trying three different ways. I coated some of the wells with grease and flour, some with only grease, and some were left uncoated. I found that when I inverted the pan, the cakes released effortlessly from the coated wells. The cakes in the uncoated wells took a slight amount of prodding and a bit of residue was left behind, but the cakes were in tact. All three ways seem to work fine, but I decided that, for my own peace of mind, I will grease all of the wells in the future. Decorating these bunny cakes is fun and easy, so this would make a great project to get the little ones helping out in the kitchen. You can use the candies of your choice to make eyes and noses. I used white candy pearls for the noses and colored them pink with edible petal dust. I made sleepy eyes out of black fondant. Black fondant is difficult to make, so I always buy it. It’s available for purchase in small quantities. 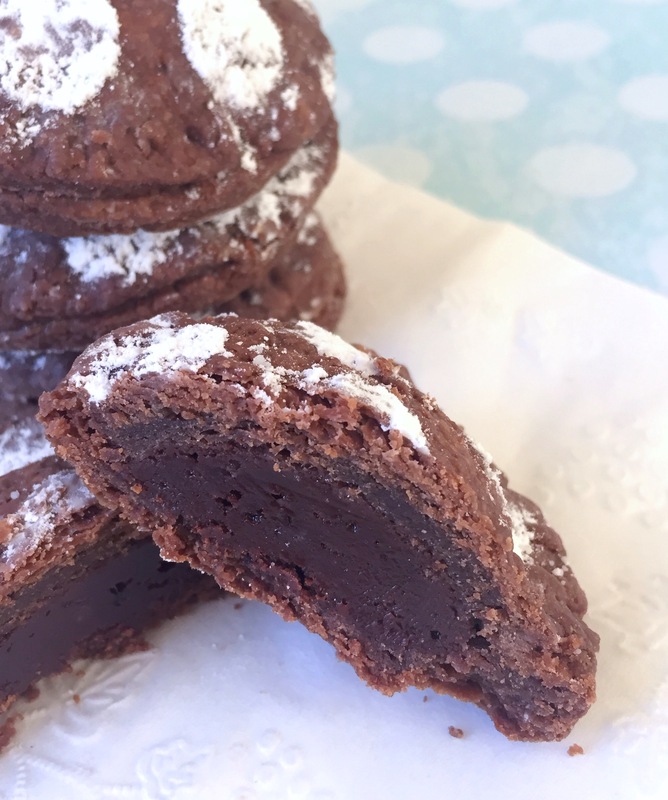 To find black fondant, click here. I used edible wafer paper to make the bunny ears, but fondant would also work. 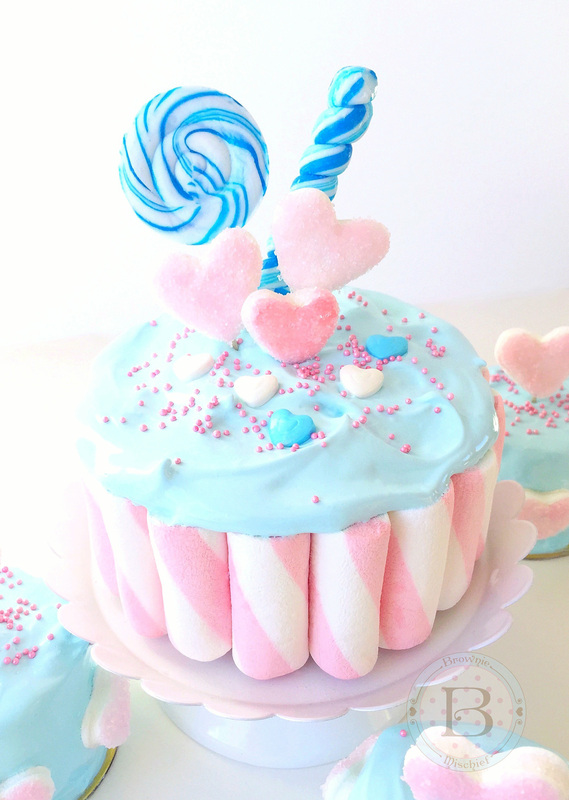 A little puff of cotton candy makes a sweet tail. So many possibilities! 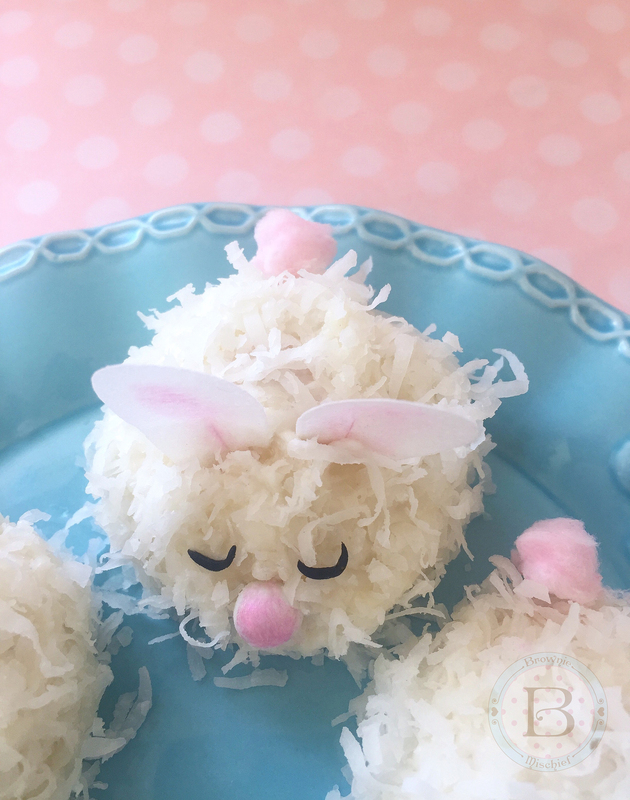 Whether you make Baby Bunny Coconut Cakes for Easter, a child’s birthday party, a baby shower or simply to celebrate Spring, I hope you enjoy them! Fluffy, moist mini hemisphere coconut cakes with coconut buttercream frosting, topped with shredded coconut. Preheat oven to 350ºF. Grease 2 silicone mini hemisphere pans. Place pans on large baking sheet. In a large bowl, beat butter, sugar and oil together with an electric mixer at medium speed, until light and fluffy, about 2 to 3 minutes. Beat in coconut extract. Gradually beat in egg whites, until mixture is well combined, stopping to scrape the sides of the bowl. Fill hemisphere pan wells, 3/4 full with batter. Bake for 20-22 minutes, until a toothpick inserted into the center of cakes comes out clean. Place silicone pans on wire rack to cool for 10 minutes. Invert pans to remove mini cakes and place on wire racks to cool completely. Add coconut extract and salt. Beat until combined. Add coconut milk a little at a time until desired consistency is reached. 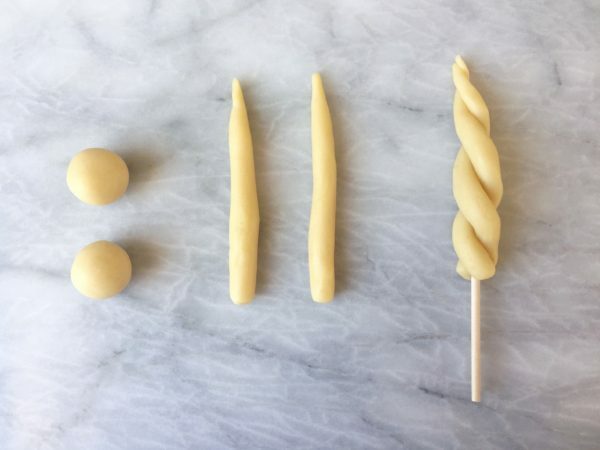 Beat at medium speed until buttercream is smooth. Frost domed tops of mini cakes with a small offset spatula. Cover with shredded coconut, pressing lightly to adhere. Decorate as desired. To make bunny ears, cut twenty-four 1 1/2-inch by 1-inch rectangles out of edible wafer paper. Cut each rectangle into a long football shape, flat at one end. Cut a 1/2-inch slit at the flat end. With a small paint brush, dab a bit of piping gel on one side of the slit. Overlap cut ends of the slit and press together with your fingers. Let dry. Brush pink petal dust into the center of the ears. 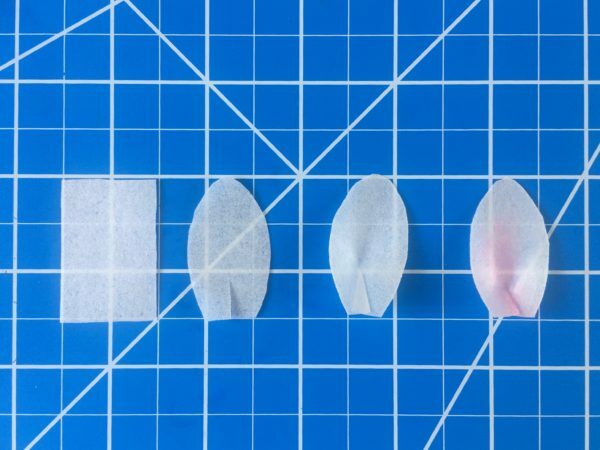 Skip this step if you are using floral wafer paper. Cut small slits into the bunny cakes and insert the ears. To make sleepy eyes, roll out a bit of black fondant to 1/16-inch thickness. Cut circles using the small end of a #12 piping tip. 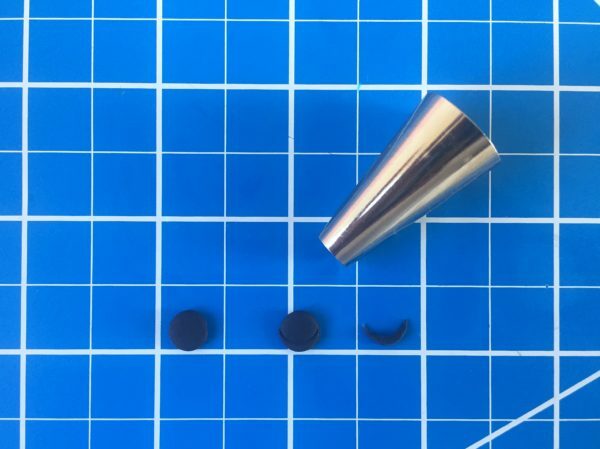 Cut thin crescent shapes from the circles using the small end of the piping tip. For easier handling, let eyes dry for a few minutes. 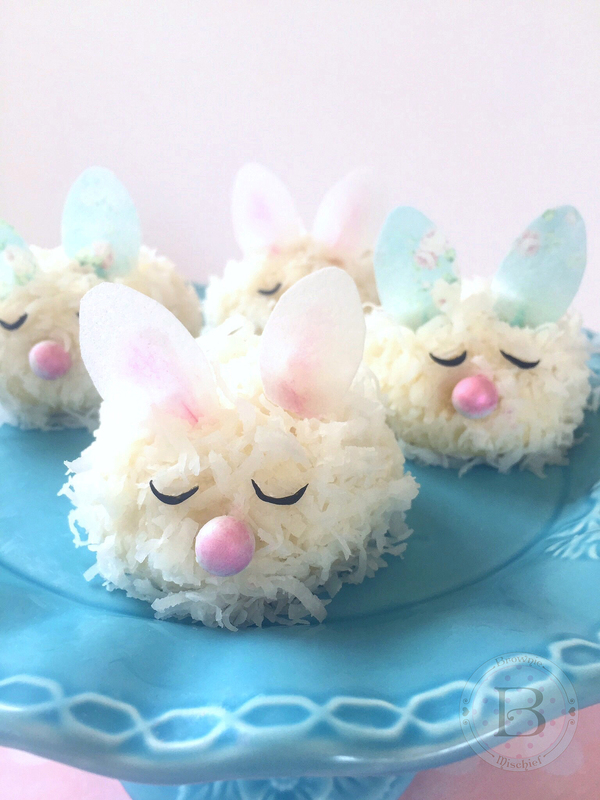 If the coconut on your bunny cakes is still moist and tacky, the eyes will stick. If not, brush them with a small bit of water. 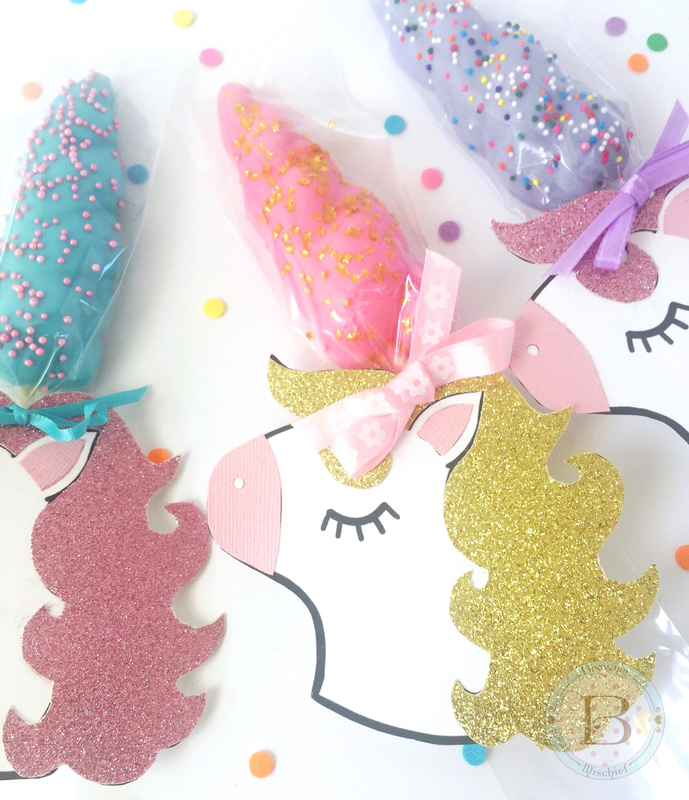 To make noses, use the candy of your choice, such as candy pearls or candy hearts. I used white candy pearls, brushed with edible pink petal dust. 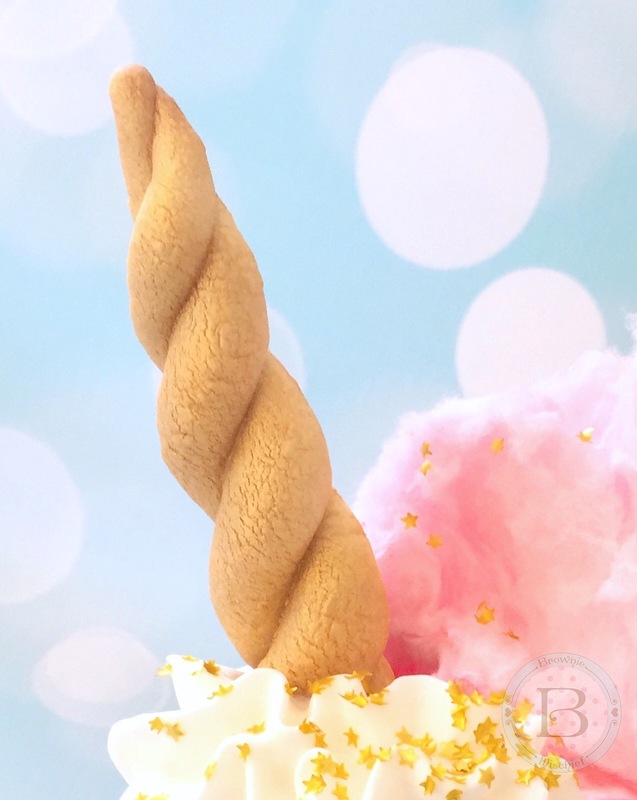 To make tails, you can use cotton candy or mini marshmallows attached with a bit of buttercream. 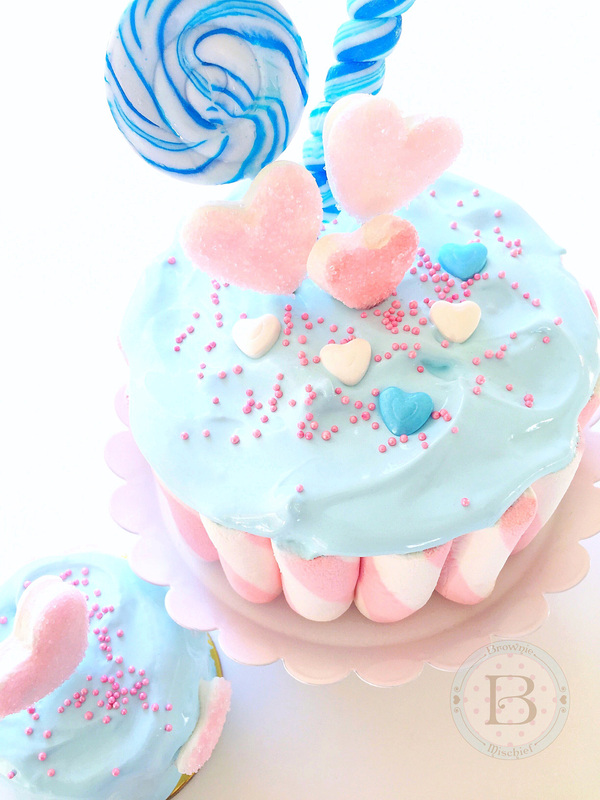 If using cotton candy, keep in mind that it melts when exposed to air, so it's best applied right before serving. *Do not substitute all-purpose flour. For best results, weigh your dry ingredients. ***If your coconut milk is separated when you open the can, simply place it in a blender to emulsify it before using. To find the hemisphere pan I used, click here. To find white edible wafer paper, click here. Floral wafer paper can be found on Etsy.